Belize is an increasingly popular eco-tourism destination with the jungles and islands of the country drawing throngs of visitors each year. 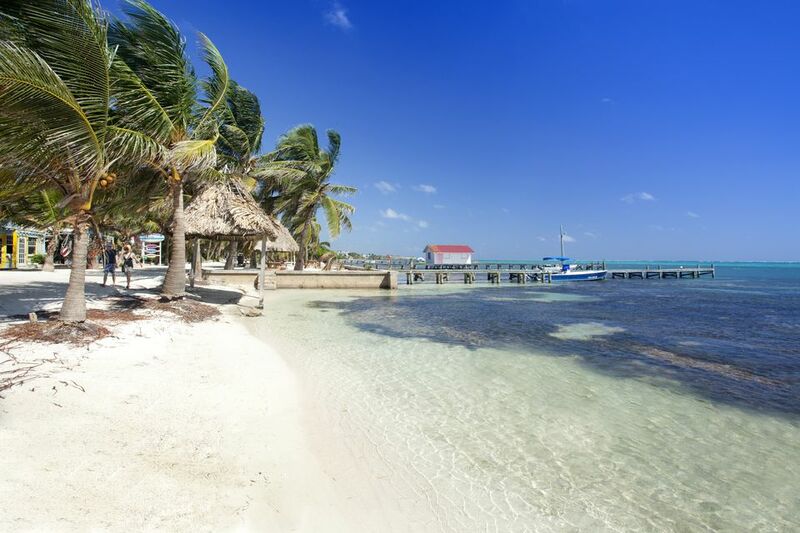 While many of the tourist areas located within Belize remain fairly secure from violence and the Caribbean islands of Belize are some of the safest places to visit, crime can be a serious problem in many parts this Central American nation. Learn what areas in Belize to avoid and what safety precautions to implement to ensure a happy and trouble-free visit. Due to the small population and high murder rate, Belize consistently ranks the top 10 countries in the world for homicides, according to the United Nations Office on Drugs and Crime. In 2017, 142 murders occurred in Belize and on average approximately 40 homicides occur per 100,000 people. Gang violence is a big part of the problem and is largely centered on Belize City. The south side of Belize City, in particular, should be avoided at all times. Some violent crime has spread to the northern and western parts of the country, however, where murder and incidents like home invasions were previously rare. This includes some areas frequented by tourists. Criminals typically carry guns and do not walk in fear of confrontation; travelers are advised to comply with a robber's instructions rather than resisting. The Caribbean islands off the coast of Belize, which are some of the most popular tourist destinations, are much safer. While crime still happens on the islands, it is much less frequent and generally non-violent—typically petty crimes of opportunity. However, such crimes often target tourists or more affluent long-term residents and there have been a few high-profile murders of tourists and expatriates. Cruise ships visitors disembarking for a few hours while at the port have been targeted by scammers. The criminals offer to sell drugs and then the person is set-up for arrest and payment of a substantial fine to secure release. The purchase of illegal drugs in Belize is subject to heavy penalties and jail time. The police force in Belize is typically understaffed and poorly equipped. While crimes against visitors are taken seriously, the ability of police to respond is limited. As of January 2018, the U.S. State Department has issued a Level 2 travel advisory, Exercise Extreme Caution, which is one level above "Exercise Normal Precautions" on the four-level scale. Review the Crime and Safety Report for Belize. It is imperative that travelers keep a watchful out when in both rural and metropolitan locations and take precautions to avoid being targeted by nefarious characters. "Belize offers an immense variety of tourist destinations, many of which are located in remote parts of the country. The easy pace found in Belize can lull one into forgetting that criminals will work wherever and whenever it is to their advantage," reports the U.S. State Department. "Tourists have been robbed while visiting archeological sites, and occasional violent crimes have occurred at resort areas on both mainland Belize and the cayes. Illicit activities in remote areas can quickly involve the innocent tourist. It is prudent to assume that safety procedures and requirements at tourist destinations are not up to U.S. standards and careful consideration given prior to engaging in the activity." Leave valuables and large amounts of cash locked up in a secure location. Do not leave items visible inside your parked car. Keep important items out of reach of outsiders while driving. Move about in groups, staying in well-lit areas, avoiding short-cuts, and maintaining good situational awareness. Don't travel alone if you are female (or even with only one other female companion). Sexual harassment is common in Belize, and sexual assaults can occur. Do not dress in a manner that displays or indicates wealth. Beware of pickpockets. Men should keep their wallet and cash in their front pants pocket. A woman's purse should be small and held closely in front of her. Keep your hotel door secured at all times. Meet visitors in the lobby. Do not leave money and other valuables in your hotel room while you are out. Use the hotel safe, if available. Travelers are advised to avoid buses in Belize and use only licensed taxis, which have green license plates. Don't accept taxi rides with other passengers unknown to you, and solo female travelers should be especially cautious, as sexual harassment by taxi drivers against women traveling alone have been reported. Road conditions in Belize are generally very poor at best and hazardous at worst. Roads other than the Northern, Western and Hummingbird (southern) highway should be avoided, and extreme caution should be used even when driving on these major roads. Don't drive at night unless absolutely necessary. If you do drive, ensure that you have a cell phone, spare tire, and other emergency equipment--even some non-perishable food. Travel with more than one vehicle, if possible. It is vital to look both ways when crossing the street in Belize as vehicles do not yield to pedestrians. Should the worst case occur and you need emergency medical attention, Belize City has the only two major hospitals considered adequate by U.S. standards and equipped to handle serious problems: Belize Medical Associates and Karl Heusner Memorial Hospital. What Is the Weather in Belize like in August and September?